Leading 100% Export Oriented Unit of dream day inlay 925 sterling silver earrings, lord ganesha inlay silver stud earrings, saraswati inlay silver jewelry stud earrings and maya freedom 925 sterling silver enamel jhumki from Jaipur. 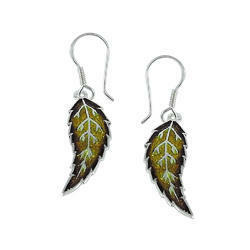 Dream Day Inlay 925 Sterling Silver Earrings Big Amazing Inlay 925 sterling silver earrings at wholesale price. 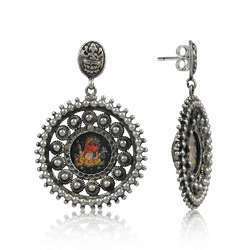 Lord Ganesha Inlay Silver Jewelry Stud Earrings Seductive Inlay 925 sterling silver earrings at wholesale price. Well-Favoured Saraswati Inlay Silver Jewelry Stud Earrings Artisan Inlay 925 sterling silver earrings at wholesale price. Maya Freedom 925 Sterling Silver Enamel Jhumki lovable Enamel 925 sterling silver earrings at wholesale price.